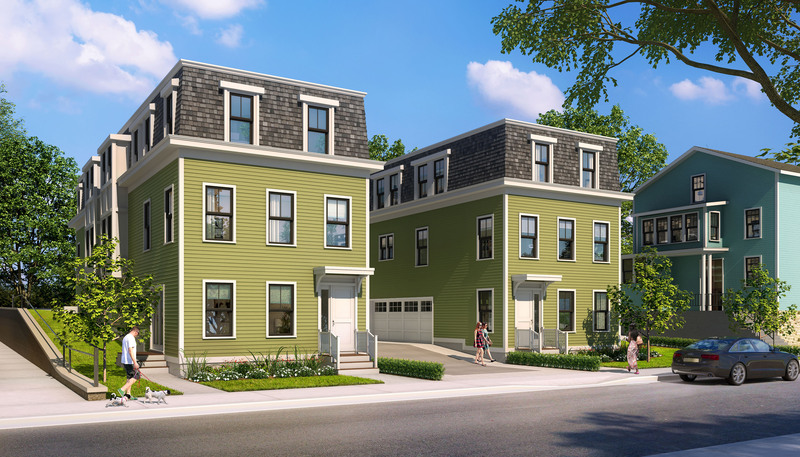 Four new construction townhouse residences in the Metropolitan Hill section of Roslindale. These mansard style townhouses offer 4 bedrooms/2.5 baths, 2 car garage parking and private outdoor space. Enter on the first level where you will find a two-car garage, laundry area and a bedroom/den. Upstairs is the main living floor with a large “L” shaped kitchen and center island, pantry, half bath, dining area and a spacious living room with windows at two exposures. The third floor houses 3 bedrooms and 2 bathrooms, including a master suite with walk-in closet and double vanity en-suite. For more information please visit 92cornell.com.